What Do Mormons Believe? » How Do You Pray? Q. How do you pray? This is an important topic. Paramount. Essential! We’ve discussed the topic of prayer already here, here, here, and my personal favorite, here. But I really don’t think we can emphasize prayer enough. Too often religious discussions get bogged down in abstract dogmas like grace and works, deification, and canon. These are good things to discuss, but we sometimes miss a chance to talk about what’s really practical in our lives here and now. Many of our readers have never prayed before and probably feel intimidated at the thought. I hope my step-by-step instructions will be helpful to you. Why are you praying? A prayer is communication with your Heavenly Father, and there are many reasons to speak to Him. Perhaps you are facing hard times and need help. He can help you. Maybe you need answers; maybe you just want to know if He is really there. He will respond. You can confess wrong-doing to begin repentance. You can thank Him for blessings. You can request to feel His love for you. Meditation before prayer can help you focus your thoughts and will make your prayers more meaningful. Another part of preparation is finding an appropriate time and place to pray. I’m focusing this article on personal, private prayers, so alone time is key. Turn off the music, find a quiet spot and allow yourself at least a few minutes without interruption. 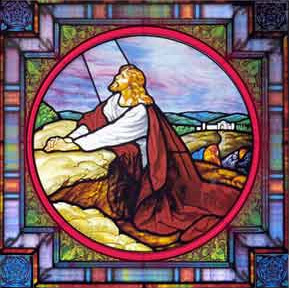 Jesus began His famous prayer, “Our Father, who art in heaven, hallowed be thy name…” Jesus is the Son of God, so He naturally called on His Father in prayer. I think it’s significant that He invited us to call Him Father, too. The most powerful being in existence is your spiritual dad. Remember this relationship. Kneel. It shows your respect and your willingness to defer to His wisdom. It represents humility. Your prayer does not depend on the position of your body, but it does depend on your attitude. Kneeling reminds you to adjust your attitude. Express your thanks for the good things and people that are a part of your life. Think of the beauty of earth, the love of your mother, your innate, sharp intellect, your home. They are gifts from Father. Try to recognize when the Lord’s hand helped you and let Him know you appreciated it. Again, your attitude is key. We are dependent on God for all our support. As King Benjamin taught in the Book of Mormon, “I say unto you that if ye should serve him who has created you from the beginning, and is preserving you from day to day, by lending you breath, that ye may live and move and do according to your own will, and even supporting you from one moment to another—I say, if ye should serve him with all your whole souls yet ye would be unprofitable servants” (Mosiah 2:21). Our gratitude is the least we can offer to Father for all He has given us. You can talk to Heavenly Father as easily as you talk to your own parents. Share your thoughts with Him, let Him know what your dreams are and what kind of person you hope to become. Celebrate together your triumphs, and seriously reflect on your sins; request forgiveness. He knows what’s halting your progress, and He can help you overcome. Ask how. You can ask for help with other things, too. Things like: relationship trouble, career paths, patience, mathematics, lost car keys, what books are worthwhile, overcoming addictions, providing food, maintaining health, etc. It’s really wide open. There are things that are probably inappropriate to ask for (“please make my neighbor die”), but there is a wide field of possible blessings God is willing to grant, and is waiting for us to request. “…in the name of Jesus Christ; amen.” This little phrase, spoken in sincerity, indicates you have faith in Jesus Christ. Every answered prayer is a miracle, and miracles can only occur with faith in the Redeemer. The Book of Mormon prophet Moroni was confronted by the charge that God can do no miracles. This was his response: “And the reason why he ceaseth to do miracles among the children of men is because that they dwindle in unbelief, and depart from the right way, and know not the God in whom they should trust. Behold, I say unto you that whoso believeth in Christ, doubting nothing, whatsoever he shall ask the Father in the name of Christ it shall be granted him; and this promise is unto all, even unto the ends of the earth” (Mormon 9:20-21). This promise even extends to us today, whenever you pray to the Father in the name of Christ. Praying in Jesus’ name also brings your heart and mind closer to the Savior’s. Read a bit more about that over here. Sometimes it will be obvious. Sometimes it will be subtle. Like a radio, we must tune into the signal and be ready to receive. We will talk more about this topic in another article, but I want to leave you with one important rule: if it is good, it comes from God. Moroni taught, “But he that believeth these things which I have spoken, him will I visit with the manifestations of my Spirit, and he shall know and bear record. For because of my Spirit he shall know that these things are true; for it persuadeth men to do good. And whatsoever thing persuadeth men to do good is of me; for good cometh of none save it be of me” (Ether 4:11-12). Thaddeus! Congratulations on writing the 100th post!! “Speak Your Mind Plainly” … That’s a good way of putting it. It puts the emphasis on being honest with God. I think I’ll use that when I try to help people understand prayer. Excellent post! I would add one thing. 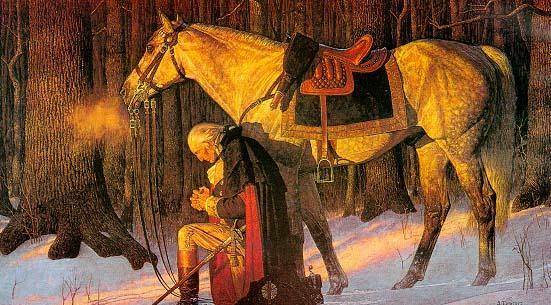 You can kneel to pray if you want to – and there are benefits to doing so as Thaddeus said, but you don’t have to. I think people coming from other faiths or those who aren’t used to praying may find kneeling a bit strange. I always pray when I’m lying in bed before I go to sleep. I also sometimes pray in the shower, while walking to class, when I’m in the car, etc. These are times when I can be alone with my thoughts. The external events also remind me to pray because I’m still getting used to praying and sometimes I forget. However, my nighttime prayers are the most personal and intimate because it’s a time when I can really focus on my prayer. Something else that threw me when I was learning to pray was listening to Mormons pray aloud. There is a certain rhythm and certain words that LDS members use that are not native to nonmembers. In my personal prayers I talk to God in the same way as I do in everyday life. However I was uneasy praying aloud and using a more formal language, and I still am to some extent. But it’s okay to be different. In fact, people may connect more to the prayer and to God when they’re listening to a prayer that varies from what they are used to. When I feel nervous about praying aloud I just try to stick to the main components that Thaddeus listed about and let the Spirit guide me for the rest. 🙂 Hope that helps. I am finishing a combat tour in Afghanistan this week. Throughout the deployment I have read the bible, the Koran, and I am reading the book of Mormon now. I find the Bible hard to believe and aside from one point I think that the book of Mormon is more reasonable. I do understand that the Book of Mormon relies on the bible. My question is (other than what is said in the preamble of Nephi) what is one’s justification for thinking that Joseph Smith did not create this book illegitimately of mistakenly? Thank you, I have always found it hard to ask religious question without sounding imposing. Nathan, thank you for asking! This is a question I’ve done a lot of reading on, and every day I become more and more impressed with how the evidence stacks up in Joseph Smith’s favor. A good place to start is an article called Book of Mormon Evidence. It lists a few of the most compelling (to me) pieces of evidence in support. Another important reason to believe in the book is because of the witnesses to the plates. Three witnesses testified that an angel showed them the gold plates. Another eight witnesses, on a separate occasion, held the plates and leafed through them (with no angel). Critics proposing a non-miraculous origin of the Book of Mormon have failed to account for these eleven men who never denied their testimonies of the plates, though some lost faith for other reasons (even outside the Church, they continued to affirm the veracity of the Book of Mormon). Ultimately, the question of evidence will come down to you. Is it compelling enough to convince you? And that, I think, is why the Lord invites us to go straight to Him as individuals and ask. You can study peripheral arguments for ages, but the surest and quickest method is to read the book itself and ask Father if it is true. And thank you for your service in Afghanistan. We are indebted to you. Enos prayed to the Lord our Maker in mighty prayer and his prayers were answered. Our Maker is Jesus Christ. Since Jesus was right there before them, they directed their words to Him. If you’d like to read the entire story, though, chapters 19-26 relate Jesus’ visitation to the Nephites. We Mormons believe that Jehovah is one of the names of Jesus Christ, so we pray to the Father in the name of Jehovah.